Shindig is a turnkey solution for online video chat events. Its unique technology offers the dynamics of an in-person event at internet scale. Shindig enables a host to give a video conference, lecture, seminar, interview or media event in front of an online audience of thousands. Hosts can share the stage for face-to-face interactions with audience members before the entire gathering or sidebar with participants privately. Meanwhile, unlike other video conference or webinar meeting technologies, audience members themselves are also able to network, discuss and socialize with one another in their own self initiated private video chats just as they would naturally at in person events. Prominent organizations and individuals ranging from CNN, The Economist, Forbes and Conde Nast Publications to Bill Gates, Sheryl Sandberg and Jim Cramer are among Shindig's early adopters. 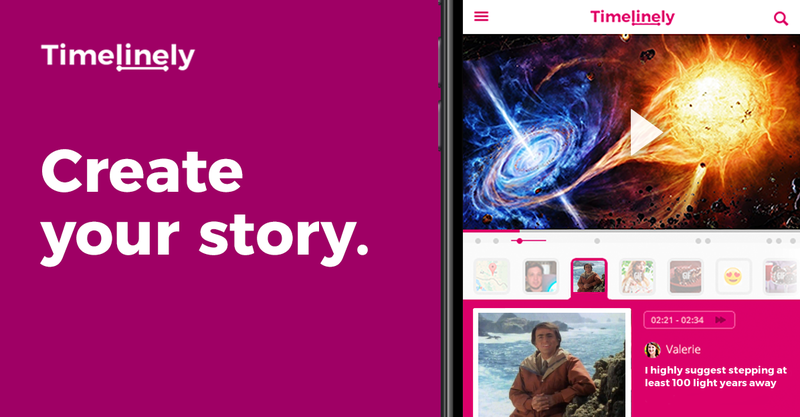 Create interactive video stories on Timelinely. Timelinely empowers people to go beyond just video. Highlight interesting parts of a video on a timeline with interactive comments, pictures, links, maps, other videos, and more. This tool reminds me of a somewhat more commercialized version of Jon Udell’s Clipping tools for HTML5 audio, HTML5 video, and YouTube. I wonder if this is the sort of UI that Hypothes.is might borrow? I can definitely see it being useful functionality in the classroom.